When Anna and Chris Thorsen of Nashville sat down for the first parent-teacher conference of their daughter Clara’s second-grade year, they weren’t surprised to hear that Clara was having trouble telling time. Her teacher also said that Clara seemed to learn something one day, then forget it the next; her writing was poor and slanted upward, no matter how hard she tried. “My husband starts to smile and reaches over and pets my arm, because in that moment, we both know Clara has dyslexia. There’s no question,” said Anna Thorsen. In many children with dyslexia, a neurobiological condition in which the brain fails to read words or letters, a lack of swift and intensive intervention can result in reading failure as well as psychological difficulties for the child. When the Thorsens came home from the conference, they decided to get Clara tested immediately and then decide the next steps. Getting testing and intervention for dyslexia at their public school proved to be more complicated than it first appeared. The Thorsens experienced more hurdles than they had expected, including the most basic: recognizing that dyslexia exists. Thorsen recalled the Nashville school district telling them that the state of Tennessee didn’t recognize dyslexia as a learning disorder. Many children aren’t receiving the diagnosis and intervention they desperately need to do well in school, and many families don’t have the means for expensive testing and tutoring. But the Thorsens, who are both attorneys, knew differently. The Tennessee statehouse had passed the “Dyslexia is Real” bill some months before, in April 2014. The law made provisions for dyslexia as a recognized reading disability, as well as for teacher training on dyslexia, both for teachers already teaching and in education schools in Tennessee. Yet while provisions had been decided at the state level, for one reason or another, they hadn’t made their way down to the district, which was still operating under old guidelines. When the Thorsens showed the school and the district laws from both the federal government and the state of Tennessee recognizing dyslexia as a learning disability, their school listened and agreed to help Clara get what she needed. But the family received pushback from the district, which balked at giving Clara, whose tests showed she was highly dyslexic with a high IQ, an Individualized Education Plan (IEP) without going through the proper channel -- in this case, 26 weeks of specialized reading instruction happening inside the classroom called Response To Intervention (RTI). If Clara failed to improve after 26 weeks, she would then qualify for an IEP. With a positive diagnosis in hand, the Thorsens believed that 26 weeks of RTI would only delay a more dyslexia-specific intervention. 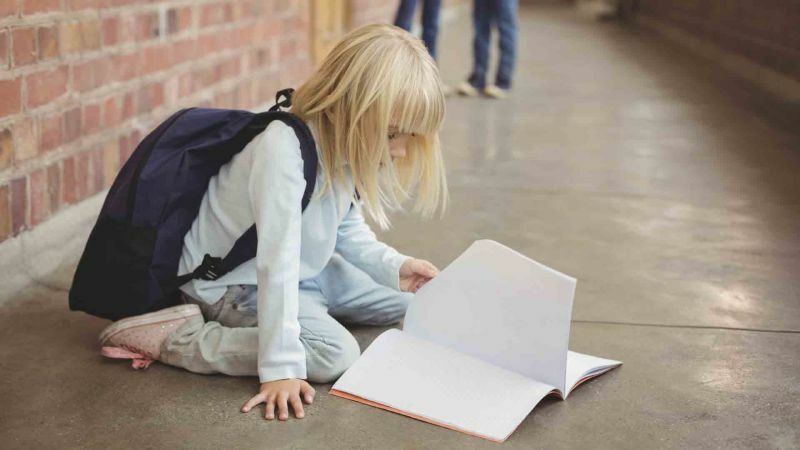 They enlisted the help of the Office of Special Education Programs at the federal Department of Education to pressure the state of Tennessee to recognize dyslexia as a reading disability, even though the “Dyslexia is Real” law was already firmly in place. After a monthlong struggle to secure services, the district finally relented, giving Clara an IEP that focused on both her dyslexia and her giftedness. The district said it is only following guidelines set up by the state of Tennessee. "We test for specific learning disabilities in accordance with state guidelines," said Debbie McAdams, executive director for exceptional education at Metro Nashville Public Schools. "Dyslexia falls under the term 'Specific Learning Disability'. The universal screening used in MNPS screens for basic reading deficits, including phonemic awareness, phonics, word reading and fluency, which are all deficits associated with dyslexia." She said that students receive intervention for reading difficulties whether or not they have an IEP. The Thorsens are happy to report that Clara is currently receiving the targeted intervention she needs. But their story is far from singular: Families interviewed across the country reveal that both public and private schools aren’t fully aware of the signs of dyslexia, even though it affects 5-20 percent of schoolchildren. And, once diagnosed, schools are often unsure -- or even afraid -- of how to intervene. 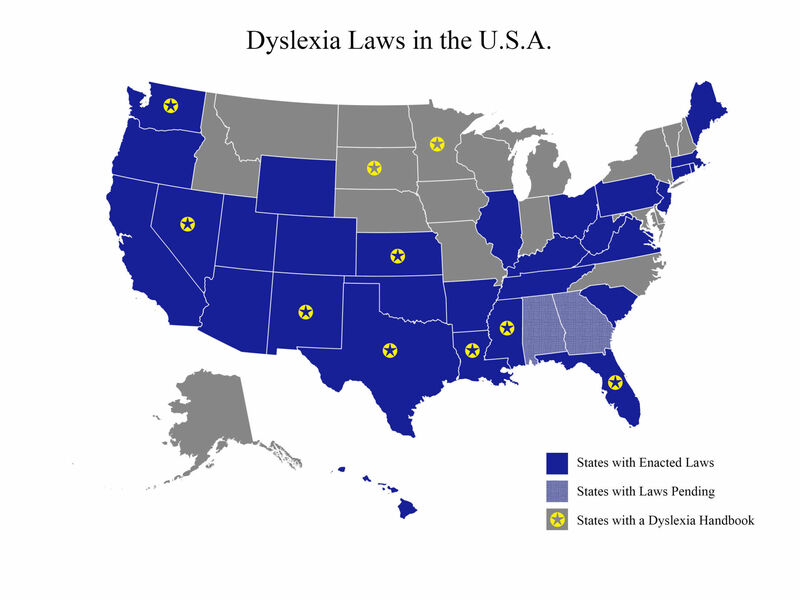 Currently, only 30 states recognize dyslexia as a learning disability. But, according to Nancy Mather, professor of Disabilities and Psychoeducational Studies at the University of Arizona, screening and intervention, not to mention teacher education, mandated by law is much more uneven across states. Even among the state dyslexia laws that do exist, many don’t have much meat on the bone. Passing a law creating “Dyslexia Awareness Month,” Mather said, is nice but isn’t going to do much to help the kids who are sitting in classrooms right now, struggling to read. Families interviewed for this story reported feelings of panic surrounding the whole issue, from trying to diagnose a failure to read, plus the maze of tests, services and interventions involved, often coming with hefty price tags. Brooklyn parent Zanthe Taylor paid $4,000 for a battery of tests for her daughter, Calliope, when her private school requested independent testing. There were free options for both testing and tutoring, Taylor found out later, but she wasn’t made aware of them. And even the free options came with hurdles: wait lists were impossibly long, and free tutors had to come from a state-approved list. The Thorsens attempted to get Clara tested at a highly regarded dyslexia clinic in suburban Nashville for $35, but were put on a seven-to-eight-month wait list. Impatient to begin intervention, they opted for a local, private center that provided a comprehensive test in the same week for $800. Both Taylor and the Thorsens also pay for private tutors on top of help received at school. Experts like Mather and Maryanne Wolf of Tufts University say the core of the panic and confusion from states on down to classrooms can largely be avoided with proper understanding of what dyslexia is and what it isn't. When schools and educators are properly trained on how to identify the different manifestations of dyslexia and to intervene appropriately, panic dissipates. They confirmed that what families experienced was real, and part of a bigger picture: Many children aren’t receiving the diagnosis and intervention they desperately need to do well in school, and many families don’t have the means for expensive testing and tutoring. Mather worked with educational software development company MindPlay to develop a three-hour video course designed specifically for teachers to better understand dyslexia.